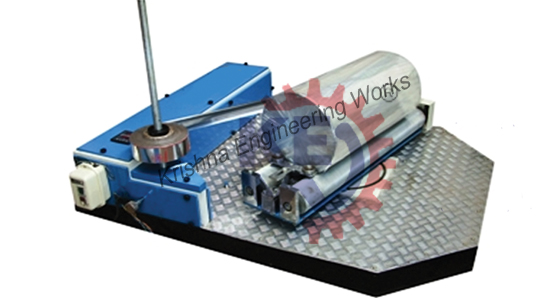 Krishna Engineering Works dealing on manufacturing and exporting Roll Wrapping Machine from India. A genuine specialized supplier of Roll Wrapping Machine. We are a leading manufacture, export, and supplier of Roll Wrapping Machine. Our machines are designed with a wide range of quality for long lasting heavy duty process, especially for cutting in different sizes from 12 mm to 1000 mm. We are a leading manufacturer, exporter, and supplier of all types of Roll Wrapping, Stretch Wrapping , Carton, Water Tank , Cloth Roll , Nylon Roll, etc.